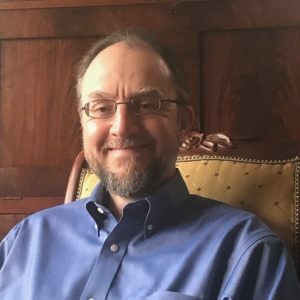 A native of Kentucky, Dr. Scheurich obtained his medical degree from the University of Michigan and then completed his general psychiatry residency training at Duke University Medical Center in 1999. At various times since then he directed an inpatient psychiatric unit, achieved the academic rank of Associate Professor of Psychiatry, provided electroconvulsive therapy, worked in rural mental health clinics, and operated a solo outpatient psychiatry practice. In his academic years, Dr. Scheurich wrote and lectured widely on the philosophy of psychiatry, the uses of literature for psychiatric training and practice, and the role of spirituality in mental health and treatment. These also inform his clinical interest in working with adults experiencing problems with mood, anxiety, or attention. In addition to using standard biological treatments, Dr. Scheurich favors narrative psychotherapy as a means to empower clients and to consider a range of personal, social, and cultural perspectives on clinical problems. He is married, with two children and several cats. Board of Psychiatry and Neurology, and is in-network for most Blue Cross/Blue Shield insurance plans.